Registration is closed. Please cal (208) 466-4641 for more information. 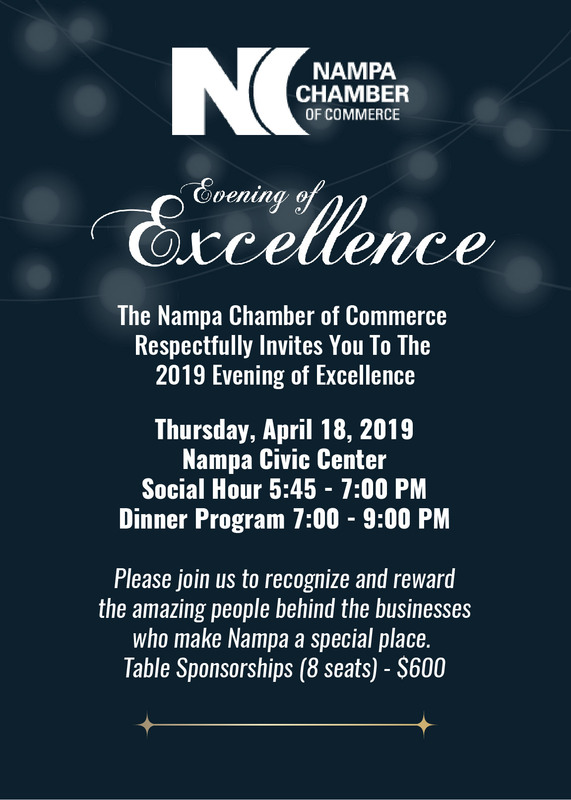 Contact the Nampa Chamber of Commerce office at 208-466-4641. Reservations are due by 5:00 pm on Monday, April 15, 2019. All seats will be reserved. If you are an individual and would like to be seated with someone, please note in the comment section when making your reservation. Experience our Evening of Excellence 125th Anniversary Celebration!